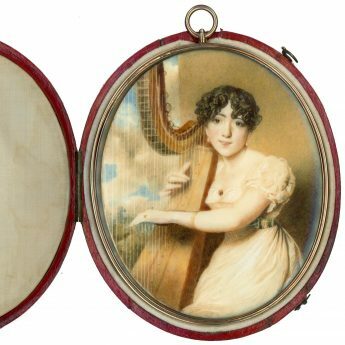 Music was considered an important accomplishment for young ladies who were expected to spent many hours practising. 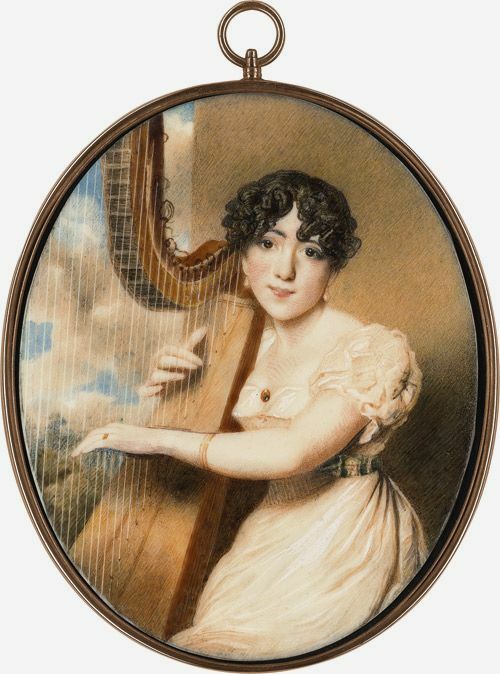 Whilst the harpsichord was usually their instrument of choice, the pedal harp grew in popularity during the 1780s and became even more fashionable when the young Princess Charlotte was given harp lessons. Playing the harp was an opportunity to show off delicate fingers and elegant arm movements as displayed here by Jane Russell. Wearing a white short-sleeved dress with a green tartan sash, Jane is seated on a terrace with a landscape view. Born in Bengal Kanpur in 1798, Jane Eliza was the eldest daughter and co-heiress of Col. James Doddington Sherwood. 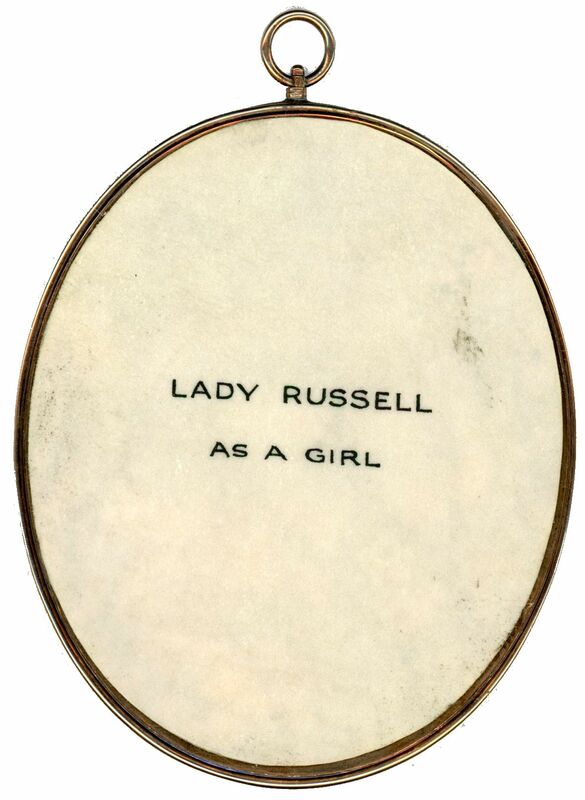 In 1814, when barely seventeen years old, she became forty-one year old William Russell’s second wife. 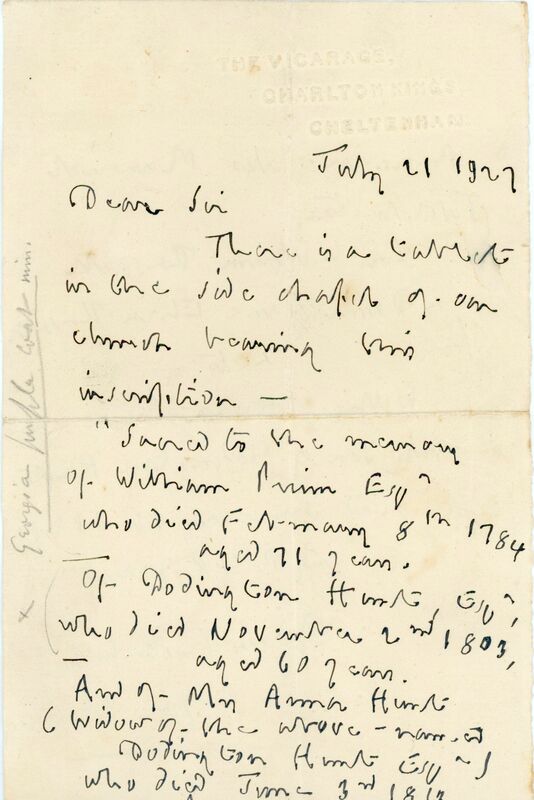 Russell was a Scottish physician working in Calcutta specialising in the treatment of cholera. The couple had one son and five daughters. 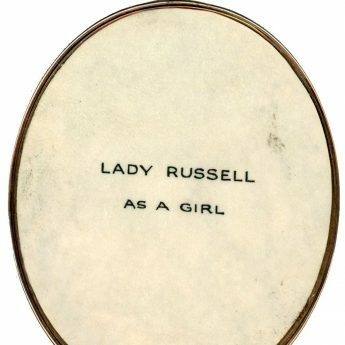 Jane became known as Lady Russell when her husband was created a baronet in 1832. 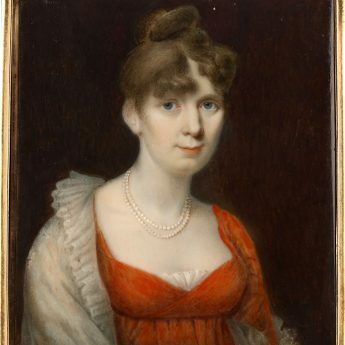 Following his death in 1839, she married William Heat Horn, a city merchant, who outlived her when she died at the age of ninety. This impressive portrait (note the size) was painted in 1815 in Calcutta by Martha Bellet Browne (1786-1828). Aged nineteen, Martha travelled to Calcutta with her brother who worked for the East India Company. There she married a British officer. She was a close friend of the artist George Chinnery whose influence can be seen in her work. Despite her obvious talent, Martha did not work commercially but painted friends and family for her own pleasure. 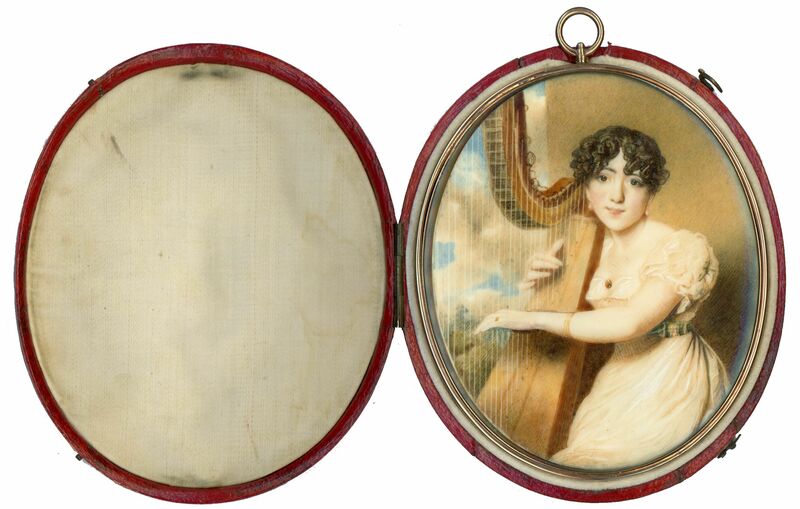 The portrait is housed in the original high quality gold frame that is reeded on the outside edge. 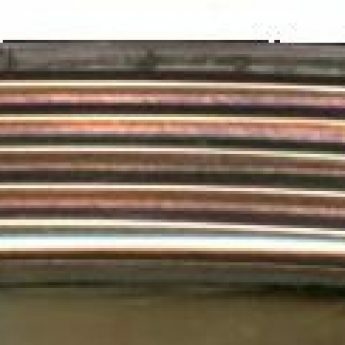 It is backed with gilt metal and labelled with the sitter’s name. The original red leather travelling case lined with cream silk has been retained and is in fine condition. 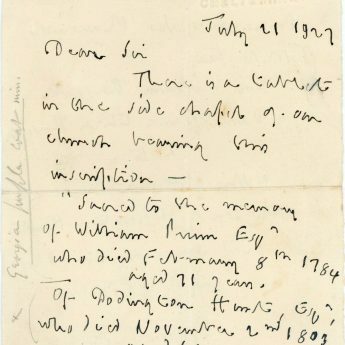 The portrait is also accompanied by a letter written in 1927 from The Vicarage at Charlton Kings detailing the inscriptions on the family tomb.